Congratulations! You have graduated from your educational program of choice, or will do so soon. What’s next? We all know the answer: finding a job! When we are occupied with the hard work involved in becoming educated for our fields, it is easy to forget that finding a job in our field of choice after graduating can be just as arduous a process. The most important steps you can take are to begin early, and to take the process seriously. This is especially crucial in our incredibly competitive job market. Below is a list of techniques and approaches that will help boost your chances of success. 1. Be focussed and targeted in your job search, yet remain open-minaded. You should know what field you want to enter and what specific position you aim to obtain, and be determined and focussed in your job searching endeavors. However, if you find after a period of time that you are not getting as many leads or responses or finding enough job postings, expand the breadth of your criteria a little bit. We know how hard you worked in your educational and training program, and how justifiably eager you are to share the full extent of your knowledge and skills with the world, but it is important to avoid underestimating the potential benefits of taking a slightly lower-level job or perhaps a position that is not the exact one you had in mind while you continue looking for your dream job. Look at this opportunity as a stepping stone in your career journey. In other words, be practical but never give up on your dreams. It is important to be ambitious while at the same time keeping both feet on the ground. This means not feeling bad about taking a job below your skill level if necessary. You would be surprised at what you can learn, and it will help boost your sense of efficacy and confidence. A job of some sort is better than no job at all. Helpful concepts are those of the “ideal job”, the “backup job”, and the “safety job”. The ideal job is the job that you had in mind as your dream while you were completing your education and training. A backup job is a job that might be a little removed from the ideal job, but that would be happy in if that was all you could find. Lastly, a safety job is a job that you need to take simply in order to cover your expenses and live. Always remember that there is no shame whatsoever in taking a safety job! We all have to do what we need to do. It’s all part of your individual, exciting journey. 2. Remember the importance of face-to-face interaction. Like many of us, you probably have a tendency to focus your job search efforts in the online world. After all, more and more of our professional and personal lives are lived online every day! However, don’t allow this reality to obscure your understanding of the potentially significant advantage of face-to-face interaction. Make sure to keep up occasional face-to-face interaction with your contacts, and make new contacts in live contexts whenever you can. Check to see if there are “young professionals’ meetups” in your city. These can be fun and useful social and networking events. Get involved in your community generally, and make contacts with people who work in your field and share similar interests. Make the fact that you are looking for opportunities known, but be careful not to be too forceful with this as doing so can alienate and annoy the very people you hope to impress. 3. Maintain keen awareness of your social media and general web presence. More and more, people are realizing that one of the first things a potential employer will do upon receiving your resume is to search for you on Google. The nature and characteristics of your online presence (including on your personal social media accounts) could easily help make, or even more easily help break, your chances of being hired. Meticulously go through all the photos you have posted on your social media accounts, and delete anything that you think could in any way give a negative or unprofessional impression. Put yourself in the employer’s shoes, and imagine what kinds of pictures would make you perhaps second guess a job applicant’s reliability, professionalism, or maturity. Also, go through past written posts (like status updates) and re-posts (for example, of memes) that you think could be damaging in some way, and delete whatever ones you can. You should consider setting up a professional website, to which you can provide a link on your resume. This is very engaging, and can make it more likely that the employer will follow up with finding out more about you right away rather than just tossing your resume into a forgotten pile. 4. Devote more time to revising and building your resume. We know that you’ve probably heard this advice hundreds if not thousands of times, but it is so fundamentally important that it bears repeating. Do research on the most effective formats for resumes in your field, and analyze the different sections of your resume, thinking of ways each can be made clearer and generally improved. Remember that you want your resume to be immediately engaging. Of course, one of the best ways of making changes to your resume is to get new experiences and knowledge! Take every opportunity to do grow as a person and a professional as you can, and give yourself full credit for doing so. 5. Take advantage of volunteering opportunities, especially ones that relate in some way to your field and your desired position. Volunteering opportunities will not only increase your breadth of experience but also give you new (and potentially extremely useful) contacts and more material for the volunteering section of your resume. You will find that many organizations make a point of letting their volunteers know about upcoming job openings. Therefore, volunteering at the sort of organization or company at which you would like to work will give you a better opportunity at both hearing about opportunities and gaining contacts that might help you secure a position. How applicable this bit of advice is to you will depend partly on your field, as some lend themselves more to freelance work than others. If your field is one that would allow you to do work on a freelance, contract basis, do not hesitate to do some work on a part-time or even full-time basis. There are many amazing freelancing sites online that are invaluably helpful in finding good jobs and clients. If you do follow this path, however, ensure that you allow a lot of time each day for job searching activities. This includes assessment of your skills and knowledge, as well as of your goals, both short-term and long-term. Take full stock of what you have to offer, and give yourself credit for your breadth and depth of experience. And it’s not enough to just do this once! You should continually self-assess as you move through your job search and your career as a whole. 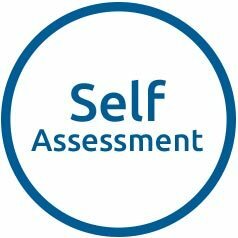 The knowledge and insights you will gain from thorough and thoughtful self-assessment are crucial for success. Perhaps consider visiting a career counselor. Visiting a career counselor might be a very valuable step for you. Alternatively (or additionally), make further use of your college’s career center. Many colleges are willing to provide services to recent graduates. Never use generic cover letters! Every cover letter should be written specifically for each individual job you apply for. Focus on showing you are a perfect fit for the job. You need to show the potential employer that they will benefit from hiring you. 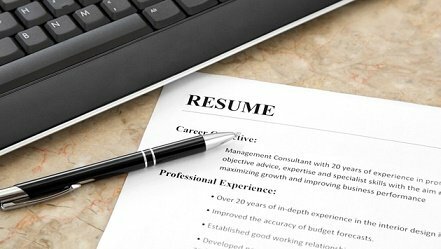 Avoid falling into the trap of simply repeating the information presented in your resume. The potential employer will find this to be unprofessional and a waste of his or her time. Ensure that the style of your cover letter is engaging in its style, and keep its length brief. Generally, three paragraphs are sufficient. If you are submitting your application electronically, save your cover letter as a PDF file. PDF files generally present fewer problems than other kinds of files. Properly research potential employers, learning about what they can offer you and appraising what you can offer them. Do reading and research on the topic of interview skills. There are many amazing resources out there of which you can avail yourself. You could also take part in a practice interview with a career advisor. Remember the importance of good non-verbal communication skills. Show confidence through good eye contact, a firm handshake, and good posture, and demonstrate your excellent listening skills. Remember to always follow up on interviews, and write thank-you letters. There hundreds of specialized job boards online, as well as general ones such as Indeed.com. Take the time to set up accounts and post your resume on these. You can search for jobs on them, and employers can find you, as well. Don’t dismiss employment agencies as a thing of the past! Depending on your field, you may find employment agencies to be very helpful in finding temporary work and making useful contacts and leads regarding future permanent positions. 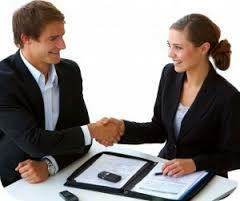 Find someone who is a well-established professional in your field, and interview them. Spend time with them, and learn about their lives. You could perhaps even do a bit of job shadowing. Ask your mentor to look for and evaluate job opportunities with you. He or she could also give you better access to other people in the field, and the chance to make new connections and hear about specific opportunities. 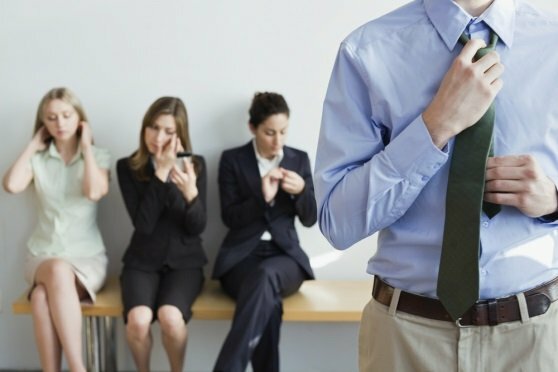 Don’t let a beeping or ringing cell phone ruin your next networking meeting or interview! Regardless of how ubiquitous the cell phone is today, interrupting a conversation because of a cell phone call or text message is still interpreted as extremely rude. Do you still have a silly or even appropriate email address from your high school and college days? If so, get a new one! Your email address can detract from an overall image of professionalism. You probably feel a lot of pressure to submit as many applications as possible, but avoid falling into the trap of rushing the work involved. Take the time required to research each position and employer, and customize the cover letter accordingly. Many times when an opportunity is first posted on a job board, there will be a rush of a large number of applications submitted in a short period. However, it is often the case that these first applications are of poor quality and the people who submitted them would have been far better off taking the time to make their submissions a better quality. Make sure to get up every morning and follow a regular routine. This is much more important than you probably imagine in ensuring the success of your job search. Without the regular routine of a full-time job, it is all too easy to spend too much time each day on fruitless activities (such as checking updates on Facebook), and you will need to use discipline to keep yourself on track. Look at your task of finding a job as a job in itself, because it really is.